Here an add on what we see in practical applications. In mitochondrial myopathy patients we see an incredible increase in blood vessels despite the fact that the target cell is not working. This indicates a stimulation of blood vessels buildups from other reasons than hypoxia. 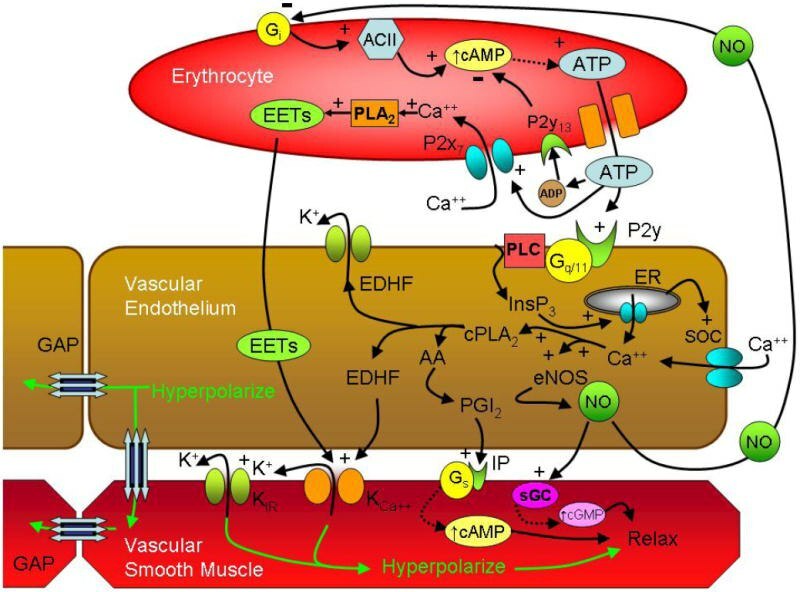 This leads us back to some great studies from Schoen et all, where they had additional stimuli than hypoxia which can lead to angiogenesis. Now I had 2 myopathy clients where I did NIRS and it is interesting, that we have a great tHb reaction but a minimal to no explainable SmO2 level which did not changed at all or minimal despite the fact , that the client had to give up the motion. No if we to excessive pliometric workouts we have for a few days a similar NIRS picture which than moves back to " normal" . This can be used in strength workouts to plan load and recovery very nicely. Juerg, I am trying to understand what you are saying here. So your clients were working muscularly and tHb (muscle compression, muscle pump, etc) reacted but SmO2 did not? If this is so it implies no or little use of O2, yet there was an energy demand. It sounds like it was close to being fully anaerobic, but as has been explained in this forum, the aerobic system supplies energy quickly. So I am not understanding something here. Could please please explain it again? Can you also indicate further how this applies to pliometric (plyometric is the same?) workouts? "This indicates a stimulation of blood vessels buildups from other reasons than hypoxia"
I read ~500+ articles about capillarisation build. This is an example, in so factors dozens, dozens of nutritional factors. 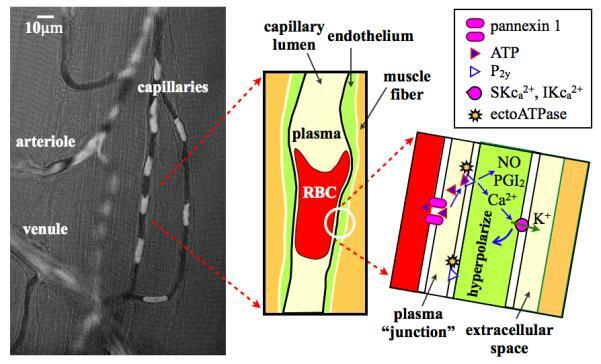 Even mechanical squeezing stimulates the growth of capillaries and their strength, as an example in the practice of weightlifting, bruises on the hip from the impacts of the rod bar are no longer appearing. If we look at rats without myoglobin, they live and run along the path. This is like an extreme case for the evaluation of the link. Suppression of capillaries through VEGF (- / +) animals can not practically overcome, they can not completely compensate. My total opinion - higher levels of myoglobin and capillaries are useful, but they do not say anything about the level of the athlete. To show the result you must have developed all the mechanisms at the same time, and the irony is that some can be grotesquely developed, for example 1 per 100 people can have an oxygen delivery of 8-10 liters, and consumption is only 3-4 liters. Example of superdelivery - Chris Froome tests, 580 watts at hr 160. If extrapolate - 9 liters delivery! This indicates a stimulation of blood vessels buildups from other reasons than hypoxia"
Absolutely and you simply agree with the statement from Andri in his respond. 1. I agree of course with how this point starts. The best athlete is the one that wins the competition or wins various competitions the majority of the time. Physiology measures do not determine the best athlete, this holds true for VO2 or blood lactate, and also of course for Moxy. That is why we have athletic competitions and not lab testing events. And I like to add on here that this is the reason why we do NOT test we assess and we assess as close to the real activity as possible. Lab tests offer little to no help for practical application as we do not get any live feedback on any current reaction we have at any specific day where we work out. So that's where we hope with NIRS and combinations we make a huge step forward in real targeted stimulation ideas with real live feedback versus calculations and hope. With NIRS we are a nice step closer to this ideas but not optimal yet. But for sure closer than with lactate or any otehr calculations we used in the past. Thanks for the question. . One section I can give a very exact answer, the second part is what we observe and has to be studies in many more cases so take it with a grain of salt. 1938 Hubbard and Stetson explained in their work how muscle most likely work and created the definition of the three possible muscle contraction reactions. This work ding are taken as so often at that time from Latin or Greek. In this case from Greek. This was the exact observation they ha d for the muscle reaction. So below the definition for eccentric help me whether you see see that this definition makes any sense in connection with muscle contraction ? (of a person or their behavior) unconventional and slightly strange. "my favorite aunt is very eccentric"
(of a thing) not placed centrally or not having its axis or other part placed centrally. a person of unconventional and slightly strange views or behavior. "he enjoys a colorful reputation as an engaging eccentric"
a disc or wheel mounted eccentrically on a revolving shaft in order to transform rotation into backward-and-forward motion, e.g., a cam in an internal combustion engine. To the second much harder part we base on observation paired with studies like the one Kirill stated as well on myopathy. Some may remember at the start of NIRS intro in this forum we made the claim, that we see extreme situations like a cardiac limitation in either top athletes or people e with cardiac problems . The reaction is the same the performance level is just very different. This way by assessing originally people with know limiters like cardiac people or respiratory diseases or muscular diseases we got some ideas on how NIRS could identify this limitation. Than we moved to " healthy " people, but as well healthy people have a limiter, it is just not critical as it is not about life and death there, but just about bragging rights in one or the other event. I am often kidding in presentations , where i argue, that the training challenge is the same in this 2 groups. No difference at all. the only difference is the timing for the payment for the training program. In disease people you better charge in advance to your program in case you make a mistake . In athletes it doesn't matter as he may simply change the coach and does not pay you. If we look at some NIRS example we showed from 100 mile runners we see that they have a very high SmO2 and minimal change, even if they go all out. They as well show an incredibly good and high tHb trend in recovered situation. We argued that they most likely have a very high mitochondria density and therefore as well a very high myoglobin content. Now remember the O2 disscurve for Hb and MB. 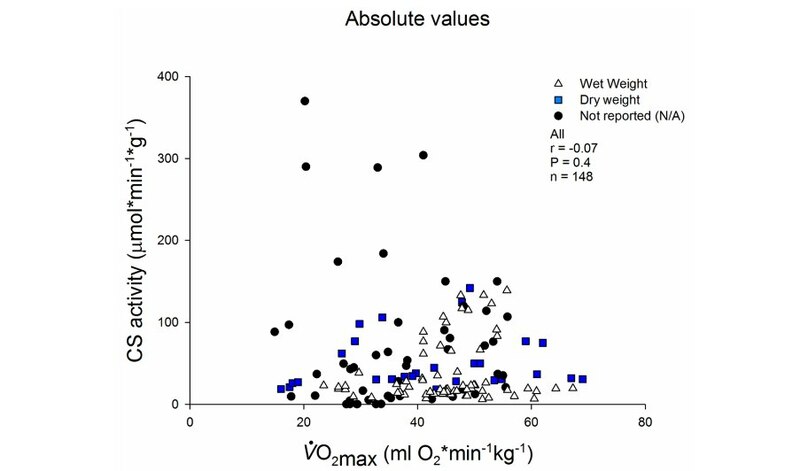 NIRS / MOXY does not discriminate between Hb loaded whit O2 O2Hb and Myoglobin loaded with O2. So look at the left side the arrow and orange area. It needs a every very low pO2 till we actually call upon the myoglobin to release O2 and in many endurance athletes this may simply not happened due to the way they train or the body works. But we can in any case get SmO2 down to zero as we know. So we have a very great delivery from cardiac and respiratory and piping ( blood vessels system in this athletes and we have a very good utilization when it comes to use O2 which is steady delivered by Hb. But we keep a very high SmO2 % due to the very highly mitochondria and therefore Mb density , which is not triggered so easy to release. Now id we do a race or workout where they have an uncommon high % of plimetric muscle activity like running very long downhill and never trained this we see a severe muscle damage the following days. Now when we do a SmO2 tHb assessment and compared with recovered once we see no a much lower start and over level of SmO2. Why ? Now in muscle myopathy there are chronically in this " damaged " muscle situation so not just functionally. They seem to try to compensate by producing more blood vessels as we often see in athletes initially an increase in blood vessels so supply line before we see an increase in mitochondria. 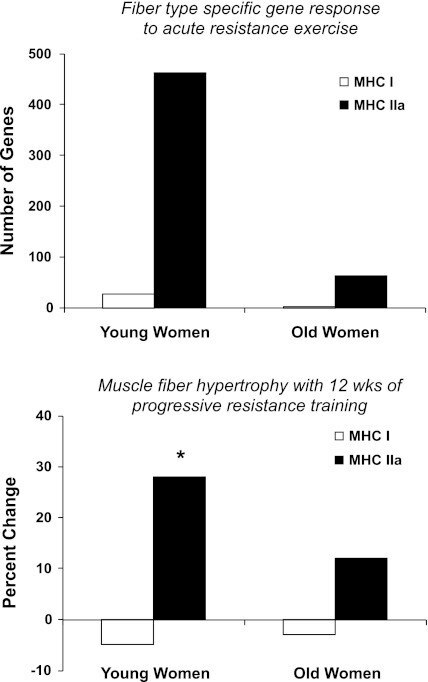 On the opposite site after an injury so in rehab we see first the reduction of mitochondrial density and than later a reduction in blood vessels as they are not used due to the lack of demand. ? Similar in COPD where due to the chronic hypocapnia we see an overload of the right ventricle , where as in athletes it is initially just a functional reaction. Now in myopathy they have a very good vessel density situation so an incredible great deliver and often as well due to the demand of O2 a very good CO and even respiration. But we have nobody who actually can use the O2 optimally.So they may have ( not sure ) much less MB due to the disease but a huge amount of Hb circulation loaded but can no unload ( O2 is not bio available. 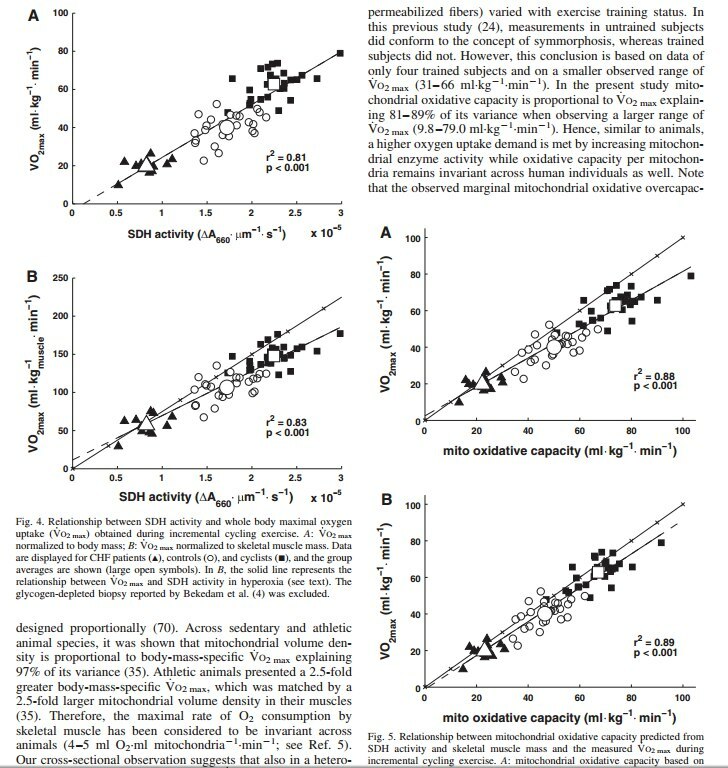 So SmO2 high here due to high loaded Hb and in endurance athletes due to high loaded MB , so it looks the same but the O2 is much less bio available the one group than the other which than clearly shows up in performance. So under load they deliver as it is a huge demand and the delivery is far better than what they can utilized and therefor even if they go very hard they can not drop SmO2 significantly before other problems show up so the CNS will shut down further ATP use as they may reach a critical low for survival needed ATP level.. But again in an occlusion test we can drop them all the way down. So the use of NIRS in thee 2 cases created this discussion and idea. This clients where sent for aggressive rehab and strengthening but in my assessment and after the result I sent them back with the question for potential myopathy. Initial reaction from the med community was no way that this works , good connection help to get them tested and unfortunately both had mitochondrial myopathy. Possibly luck and coincidence but at least very interesting and the med community could try to make a bigger study out of an idea like this as it may save a lot of diagnostic headache and time perhaps. For the practical coach they could use this possible reaction for their planning of muscular recovery after specif workout. 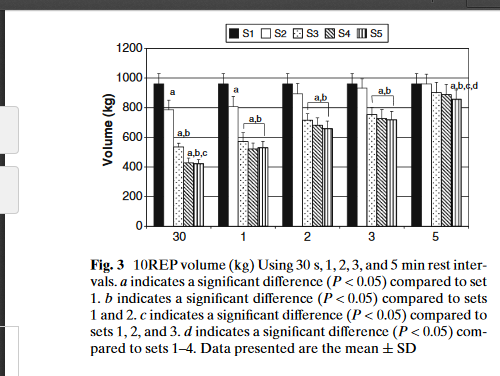 Track tHb and SmO2 after unconventional and new strength loads with potentially lots of pliometric loads. Craig hope it makes better sense otherwise come back and I give it another try. Interesting work with the use of NIRS. Gives food for thought, how important and necessary, or do not need O2 oversupply. 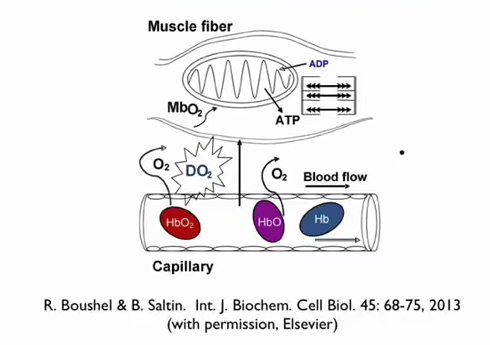 Under acute hypoxic conditions, the muscle oxygen uptake (mV˙O2) during exercise is reduced by the restriction in oxygen‐supplied volume to the mitochondria within the peripheral tissue. This suggests the existence of a factor restricting the mV˙O2 under hypoxic conditions at the peripheral tissue level. 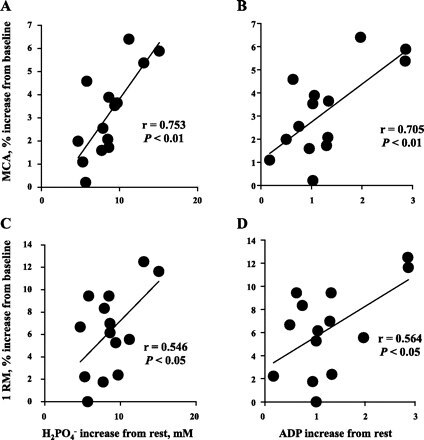 Therefore, this study set out to test the hypothesis that the restriction in mV˙O2 is regulated by the net decrease in intracellular oxygen tension equilibrated with myoglobin oxygen saturation (∆PmbO2) during muscle contraction under hypoxic conditions. 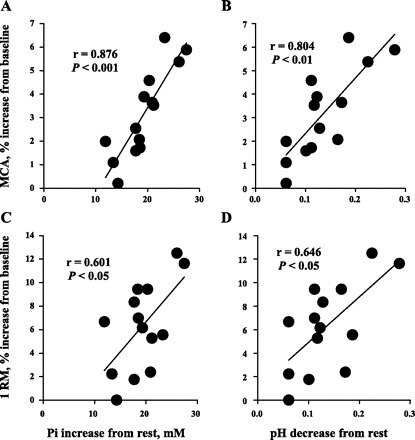 The hindlimb of male Wistar rats (8 weeks old, n = 5) was perfused with hemoglobin‐free Krebs–Henseleit buffer equilibrated with three different fractions of O2 gas: 95.0%O2, 71.3%O2, and 47.5%O2. 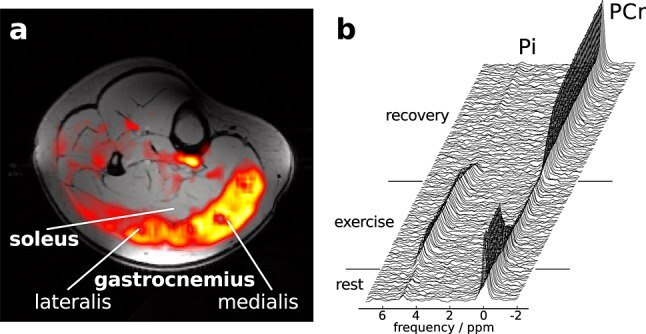 The deoxygenated myoglobin (Mb) kinetics during muscle contraction were measured under each oxygen condition with a near‐infrared spectroscopy. 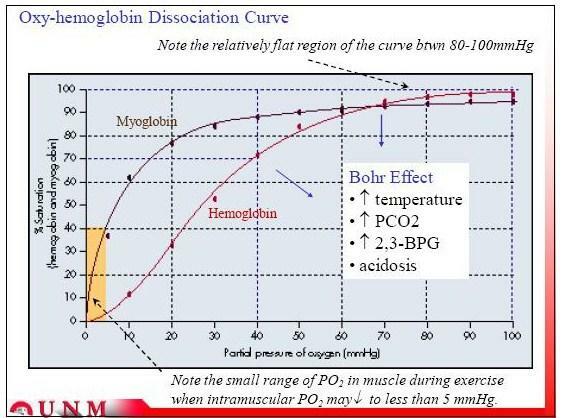 The ∆[deoxy‐Mb] kinetics were converted to oxygen saturation of myoglobin (SmbO2), and the PmbO2 was then calculated based on the SmbO2 and the O2 dissociation curve of the Mb. The SmbO2 and PmbO2 at rest decreased with the decrease in O2 supply, and the muscle contraction caused a further decrease in SmbO2 and PmbO2 under all O2 conditions. The net increase in mV˙O2 from the muscle contraction (∆mV˙O2) gradually decreased as the ∆PmbO2 decreased during muscle contraction. The results of this study suggest that ΔPmbO2 is a key determinant of the ΔmV˙O2. A number of interesting studies for you in the field of mitochondria. 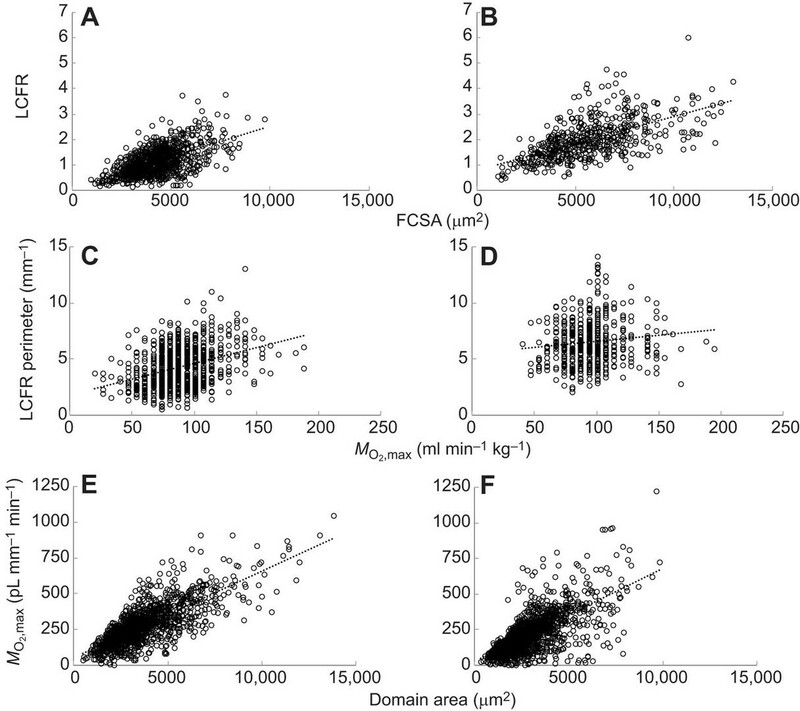 It is thought that the prime determinant of global muscle capillary density is the mean oxidative capacity. 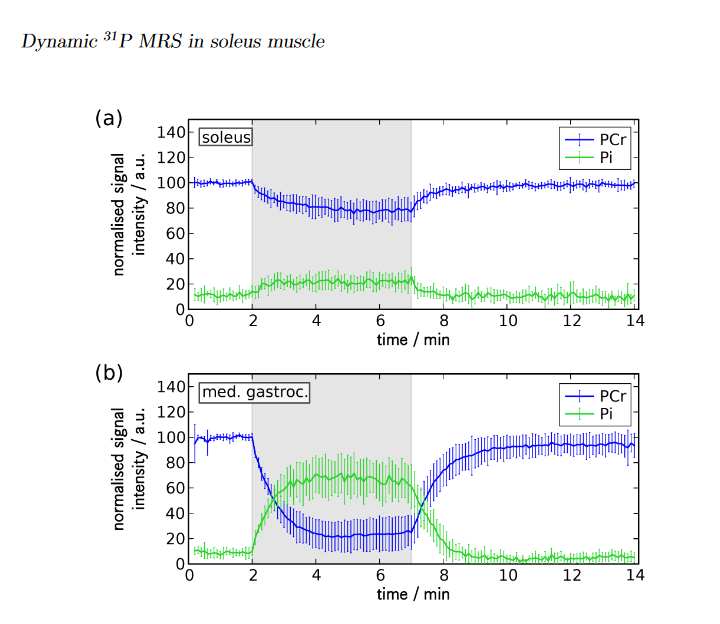 However, feedback control during maturational growth or adaptive remodelling of local muscle capillarisation is likely to be more complex than simply matching O2 supply and demand in response to integrated tissue function. We tested the hypothesis that the maximal oxygen consumption (MO2,max) supported by a capillary is relatively constant, and independent of the volume of tissue supplied (capillary domain). 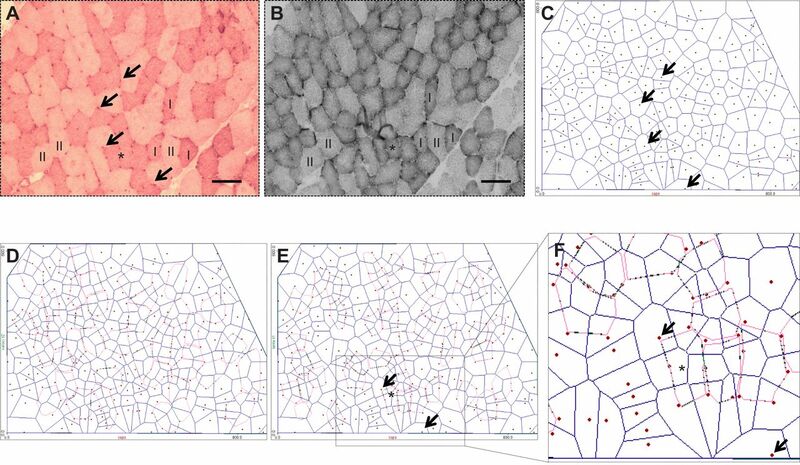 We demonstrate that local MO2,max assessed by succinate dehydrogenase histochemistry: (1) varied more than 100-fold between individual capillaries and (2) was positively correlated to capillary domain area in both human vastus lateralis (R=0.750, P<0.001) and soleus (R=0.697, P<0.001) muscles. This suggests that, in contrast to common assumptions, capillarisation is not primarily dictated by local oxidative capacity, but rather by factors such as fibre size, or consequences of differences in fibre size such as substrate delivery and metabolite removal. I use this data to rest. I rest 5-10 minutes. Maybe this athlete use 20-30% of delivery? So far, all studies have shown that, other things being equal, a more complete oxygen extraction should be considered a favorable indicator. In general, most stayer do not know how to hypertrophy muscles, and all of their trainings are a waste of time, except for the extraordinary and completely useless development of the transport system, they are not leading - VT2 does not grow.